Although CO2 is essential for photosynthesis, too high a concentration caused by climate change could alter the growth of rice plants and reduce nutrients in one of the most important cereals for global food. Increased food insecurity is one of the risks of climate change. However, this danger does not only involve agricultural difficulties due to drought or temperature. CO2 in the air could make plants less nutritious, according to a study. The results of this work on rice in China and Japan could also be applied to other plants. 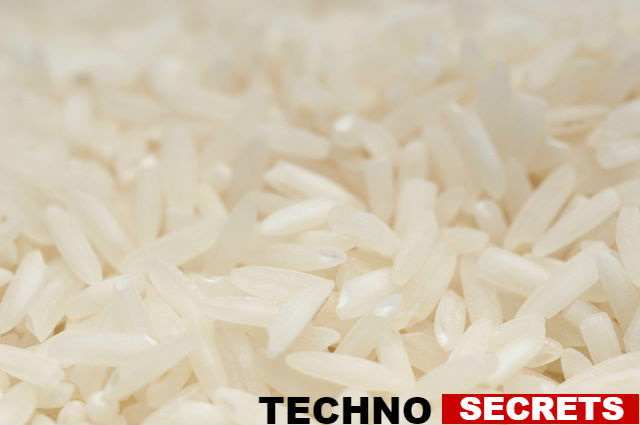 Rice, however, is one of the most important foods on Earth. It would represent up to 25% of calories consumed worldwide each year. This cereal is the basis of the diet of more than 2 billion people. However, with dietary deficiencies, the body works less well, the cells are no longer working and diseases may develop. As for humans, plants, which are the world’s largest food source, need several elements to grow, such as CO2. However, it may seem surprising that a higher concentration of this gas is harmful to them. In fact, the rapid rise in CO2 predicted over the next few decades could favor some aspects of plant growth to the detriment of others. The current level of this gas is about 410 particles per million air particles. This threshold could reach about 560 to 590 particles per million by 2100. To see what this rise would do to a major cereal like rice, the researchers conducted tests on 18 different varieties in two paddy fields, one in Japan and the other in China. Some parts of the rice fields were covered with plastic. Researchers have increased carbon dioxide levels to levels expected at the end of the century. They then measured the grain content of protein, iron, zinc and vitamins under both growing conditions. The numbers varied according to the varieties used, but on average, the amount of protein in the grains exposed to CO2 decreased by about 10% compared to that of grains exposed to the open air. Iron was 8% lower, zinc 5%, and vitamin concentration decreased from about 10% to 30%. The rate of CO2 leads to faster growth of plants, giving carbon a greater place in the composition of grains, to the detriment of the elements from the soil and extracted by the roots. Even if the plant produces larger grains and in larger quantities, they will be less nutritious. The results of the study also suggest that a similar decrease could harm other plants essential to our survival, such as wheat. This problem can be addressed by creating hybrid varieties that are more resistant to increasing CO2. This, however, would only temporarily delay the problem, which is just one of the many problems brought about by climate change. Brian Shannon is just getting his start a reporter. He attended a technical school while still in high school where he learned a variety of skills, from photography to car mechanics. Brian also helps keep Techno Secrets social media feeds up-to-date. The polyphenols contained in red wine repel bacteria that cause cavities and gum disease, say Spanish researchers.